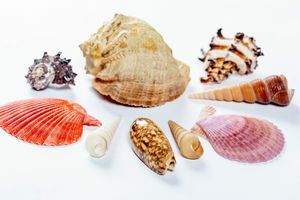 This lesson starts with a reading circle introducing shells and the animals that used to be inside them. Each child then gets a collection of shells and a hand lens. They spend time inspecting the shells, sorting them, exploring them, etc. Then each child can pick their favorites and make a “fossil” using air-dry clay that they can take home once dry.